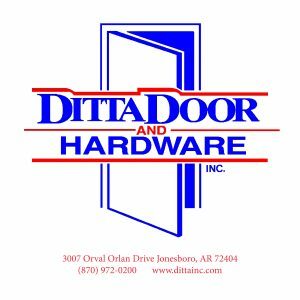 Ditta Enterprises Inc. is a group of three entities, Northeast Arkansas Glass, Ditta Door & Hardware. 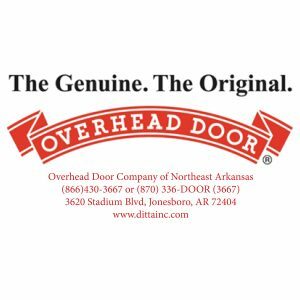 and Overhead Door Company of Northeast Arkansas. All three entities are family owned and operated in Jonesboro, Ar. We provide sales, service and repair for residential, commercial and industrial projects. To provide the unique knowledge, resources, and networking opportunities that enables Ditta Enterprises Inc. to prosper and achieve their fullest potential. We are distinctively different from the competition and we are confident we will exceed your expectations in professionalism, innovation, quality workmanship, and unsurpassed customer service. “Hassle Free Service” is more than just our motto. It’s a way of life for the company employees. As Ivan Landstorm put it, “the only reason you are employed here is because people keep coming through that door,” The phone call that is quickly answered… Information accurately given… Follow through when a promise is made… Installation cleaner than you found it… Getting to know the foreman on the job and working with them to make their job easier… Getting it right the first time… Saying please and thank you… Keeping inventory properly stocked and the whole company orderly, clean and organized… Working out internal company problems so that they do not negatively affect your job. It is our commitment to each other, to our customers and to our community. It is being a team and a key team player.